Animals in the Woods Wall Decsls PLFR010L with the bear from “Forest Animals Wall Art" snd Bees. 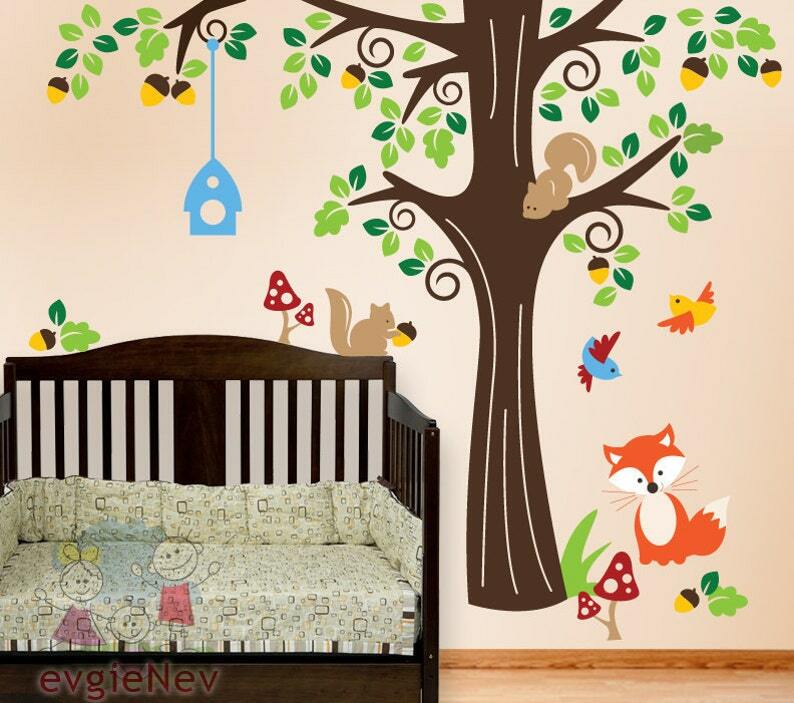 Cute Forest Scene Removable Sticker is made using Top-Quality Matte Vinyl. Perfect to decorate and add your personal touch to any space, switch themes in child's room. Just peel and stick, it's so easy! Included FREE test decal.